Hopefully, everything is going well with your vehicle. But did you know that even if everything is running smoothly—even if your engine is running and you’ve been keeping up with your oil changes and preventive maintenance—if you’re sitting on bad tires, you’re not riding in a safe vehicle. How can you know if your tires are safe? Here are three things you can check for to make sure your tires are in good shape, or to know when it’s time to get them replaced. 1. Check Your Vehicle’s Tire pressure. Always check your tire pressure! If your tire pressure is too high or too low, you could be riding in an unsafe vehicle. We can check your tire pressure here, or you can go to a place like Discount Tires. Every vehicle is different regarding the recommended tire pressure. You can find out the correct PSI for your car’s tires in your owner’s manual, or on the inside of the driver’s side door. Any professional shop you take your car to will know what pressure your tires should be set at. With the amount of construction going on in the Metroplex, especially new home construction, there are nails everywhere! And one of then could easily end up in your tires. Every now and then, especially if you live in a brand-new community, do a spot check on your tires. If your future next-door neighbor is still building his house, you might want to check more often! Sometimes you can patch up a nail hole yourself, but sometimes you need to replace the whole tire. Make sure you keep replacement tires in your budget—it’s just part of the game of living in the Metroplex right now! But you definitely don’t want to have a blowout on the highway because you didn’t realize you had a nail in your tire. 3. Check your vehicle’s tire tread. From time to time you want to check the tread on your tires as well. One of the biggest mistakes we make is to not replace our tires when the tread is low. We get it, it’s hard to come up with a couple of extra hundred dollars for a new tire! But if you wait too long you risk having a blowout and causing damage to your vehicle, or in the worst case causing injury to yourself or your family. So don’t put off checking your tires! Here’s a bonus tip: if you keep your tires aligned properly, your tires will last longer. 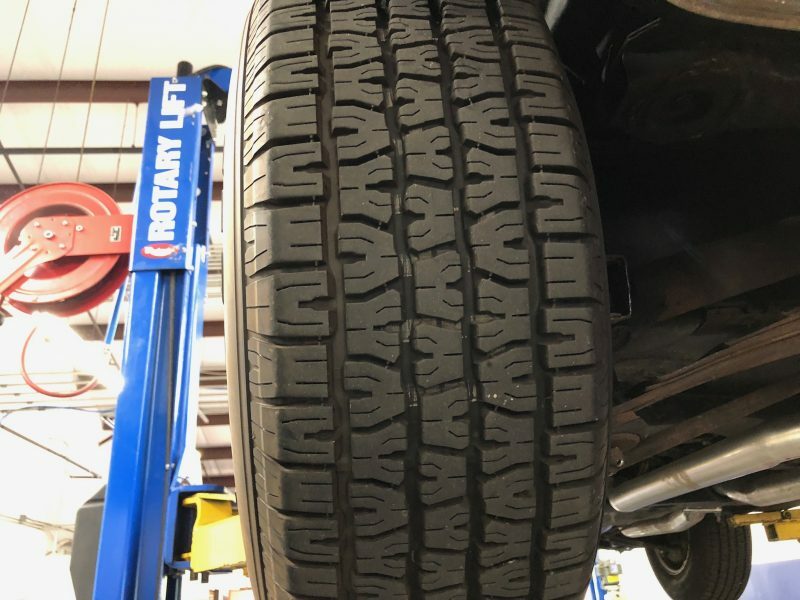 We can do an alignment check here in our shop, and we can fix any alignment problems for you. It’s our goal to keep you in a safe vehicle and keep you and your family safe on the road. If you remember to check these three things routinely, your tires will last longer and you’ll be safer.